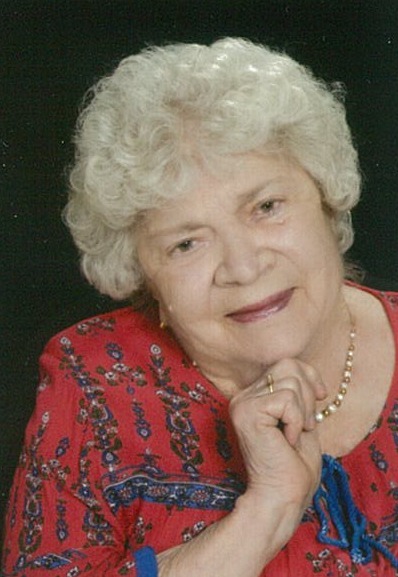 Mrs. Ruth Braun Atwood of Lake City, Florida passed away peacefully after a valiant fight, the morning of September 4, 2018, at the age of 88. She was born on May 13, 1930 in Cincinnati, Ohio, and was the daughter of Maximillian and Martha Braun. She spent the majority of her youth in upstate New York until moving to Florida in 1959. She graduated valedictorian from St. Mary’s Academy in Hoosick Falls, NY in 1948. Her dream was to become a linguist but with college financially out of her reach she chose to attend business school in Hoosick Falls. She met her husband, Wes, on a blind date and they were married in St. Monica’s Catholic Church in Johnsonville, NY on January 24, 1953. She was a homemaker until she returned to work after her 5th child, where she worked and retired from the State of Florida. She was a lover of games, puzzles and people, an avid volunteer, including being a Girl Scout leader for many years, but most important to her was her family and faith. She was a loving wife, mother, grandmother and great grandmother who cherished her family. She loved life despite the trials and her biggest blessing was spending time with her ever growing family. After moving from the family home, she spent her recent years at Willowbrook thoroughly enjoying the activities and fellowship. She was a member of Epiphany Catholic Church in Lake City for 51 years. She is preceded in death by her husband, Wesley William Atwood. She is survived by her son Mark Atwood, Naples, FL and 4 daughters, Karen Holbrook (Mark) Fort Collins, CO; Mary Jean Kuntz (Terry), Tallahassee, FL; Beth Murphy (Tim) Lake City, FL; and Barbra Crumpacker (Jon) Tallahassee, FL. Fourteen (14) grandchildren, Ashley Atwood, Naples, FL; Tara Stone (Daniel), Lubbock, TX; Allison Sanchez (Santos) of Sevierville, TN; Bryan Holbrook (Gentry) Jacksonville, FL; Lauren Kubla (Ryan) Loveland, CO; Kari Spencer (Nick) Fort Collins, CO; Eric Kuntz and Todd Kuntz, both of Tallahassee, FL; Max Murphy Tallahassee, FL; Morgan Murphy of Lake City, FL; Corey Crumpacker of Austin, TX; Cassie Crumpacker, Jake Crumpacker and William Crumpacker all of Tallahassee, FL. Four (4) great grandchildren, Connor Kuntz, Tallahassee, FL; Azalea Sanchez of Sevierville, TN; Ryder and Kayleigh Kubla of Loveland, CO.
A funeral mass for Ruth will be conducted on Saturday, September 8, 2018 at 11AM at Epiphany Catholic Church in Lake City with Father Rob Trujillo officiating. Interment will be held at Forest Lawn Memorial Gardens Cemetery on Monday, September 10, 2018 at 3 PM. Arrangements are under the direction of the GATEWAY-FOREST LAWN FUNERAL HOME, 3596 South Highway 441 Lake City, FL. (386-752-1954). In lieu of flowers memorial contributions may be made to Epiphany Catholic Church or Epiphany Catholic School at 1905 SW Epiphany Court, Lake City, FL 32025. Please sign the guestbook at www.gatewayforestlawn.com.